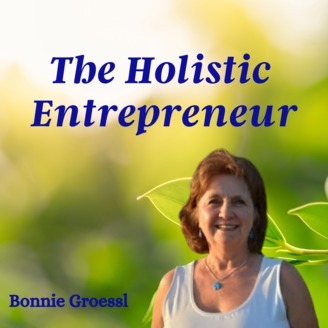 Join holistic entrepreneur, author, and business consultant Bonnie Groessl and her guests each week for tips and strategies you can use on your holistic entrepreneur journey. This podcast is designed to facilitate a mindset for success so you can feel inspired, enthused and confident that anything is possible. 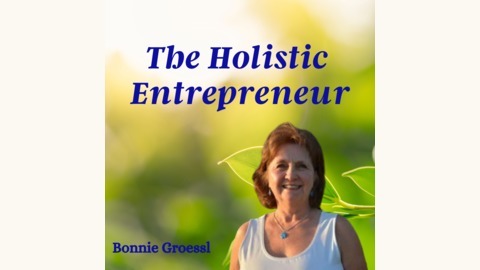 Bonnie and her guests offer insights and motivation based in self-empowerment to help you live your dreams and attain the health, happiness, and abundance you deserve. Leverage the positive energy and knowledge of this supportive community to successfully share your gifts with the world. Entrepreneurs often fall into one of two categories. Are you someone who follows a guru and adheres to one strategy? Perhaps you have shiny object syndrome and sign up for everything. Join us today and see if any of this resonates with you and discover how to discern what is best for you. Host Bonnie Groessl, MSN, is a best-selling author, international podcast host and business consultant. Her clients learn how to share their message with people around the world by developing a robust online presence that can include podcasting, publishing, video, and blogging. Bonnie and her husband, Mike Dauplaise, own and operate a boutique publishing company and virtual marketing team, offering services that fit the needs of entrepreneurs and small businesses who want to accelerate their journey to success. CLICK HERE to get your newsletter delivered directly to you with the podcast links, a message from me and access to over 60 gifts from the previous shows.